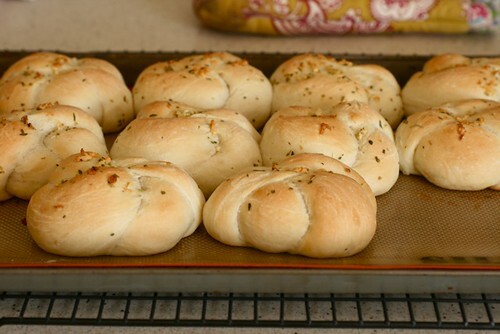 Now that fall is upon us, my favorite type of meal to make is a big pot of soup with some homemade bread. 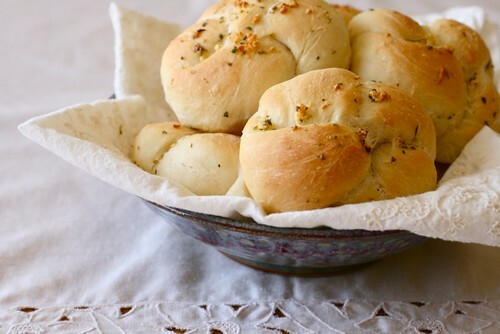 So comforting, and it makes the house smell amazing. 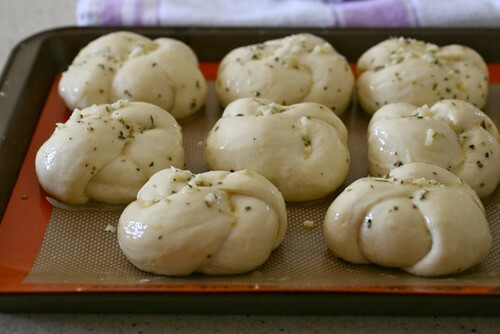 These garlic knots are one of my two favorite dinner rolls (the other being these honey yeast rolls), but I’m afraid they have gotten lost in the archives or overlooked because of the old (read: ugly) photo. 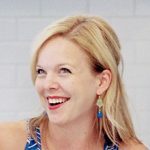 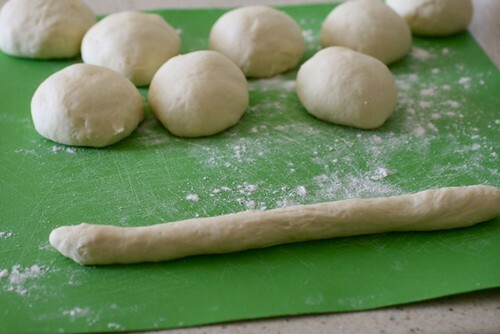 I also thought a step-by-step guide on shaping these rolls might be helpful. 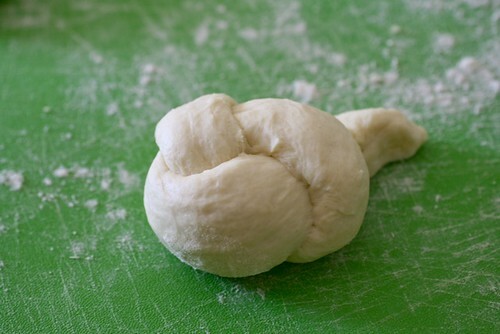 Baking with yeast may be intimidating to those who have never tried it but it really is just following a recipe. 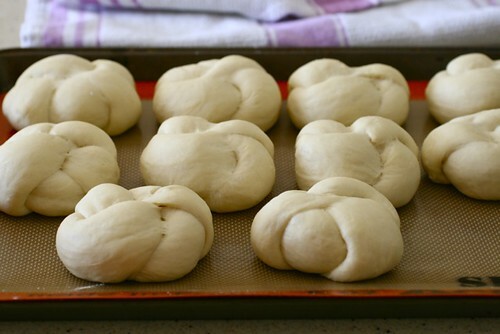 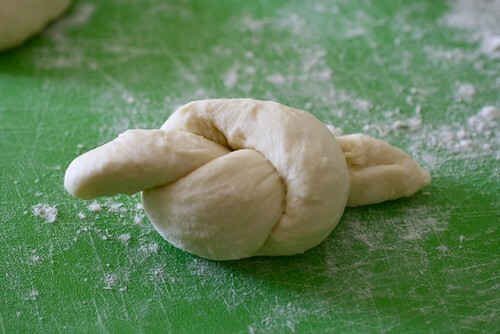 The dough for these rolls is easy to work with and I think a good project for yeast bread beginners. 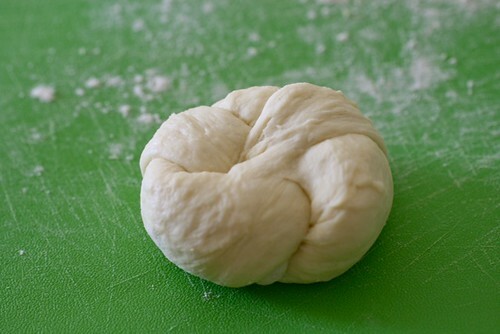 Roll each piece into a 10-inch long rope and tie into a knot. 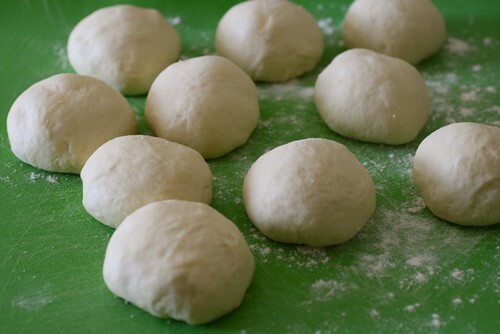 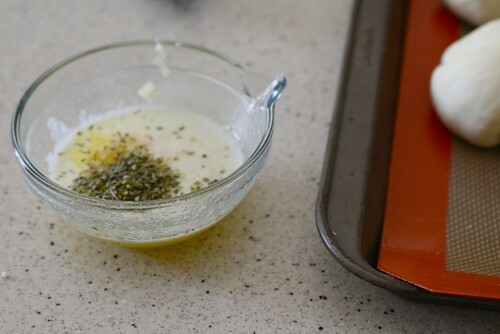 Transfer shaped rolls to a baking stone, or a baking sheet lined with parchment paper. 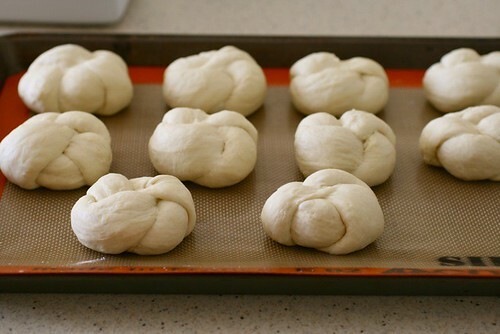 Cover with a clean kitchen towel and let rise for 45 minutes, until puffy.